Yvonne and I planned a travel through the South African Provinces of Eastern and Western Cape. One of the places we wanted to visit was the African Game Lodge in Montagu. While booking the Game Lodge we heard about Pack for a Purpose for the first time. 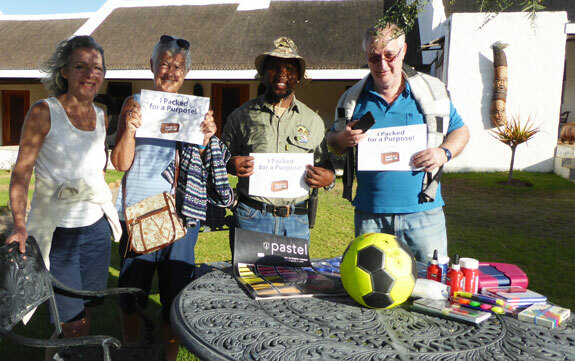 So we and our friends packed needed school supplies (pencils, paper, paint brushes, acryl colors, chalks and other items) and a football and donated it to Ranger Monwabisi Merile of the African Game Lodge.